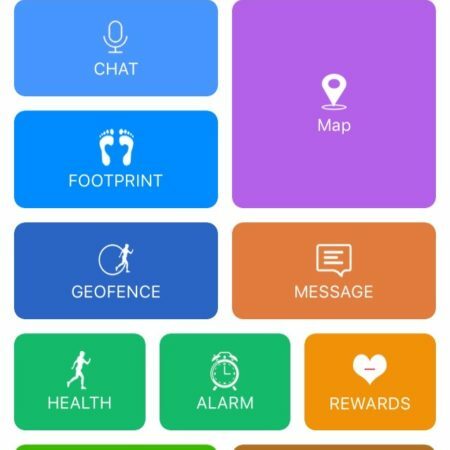 Below are the App features you can explore in details. 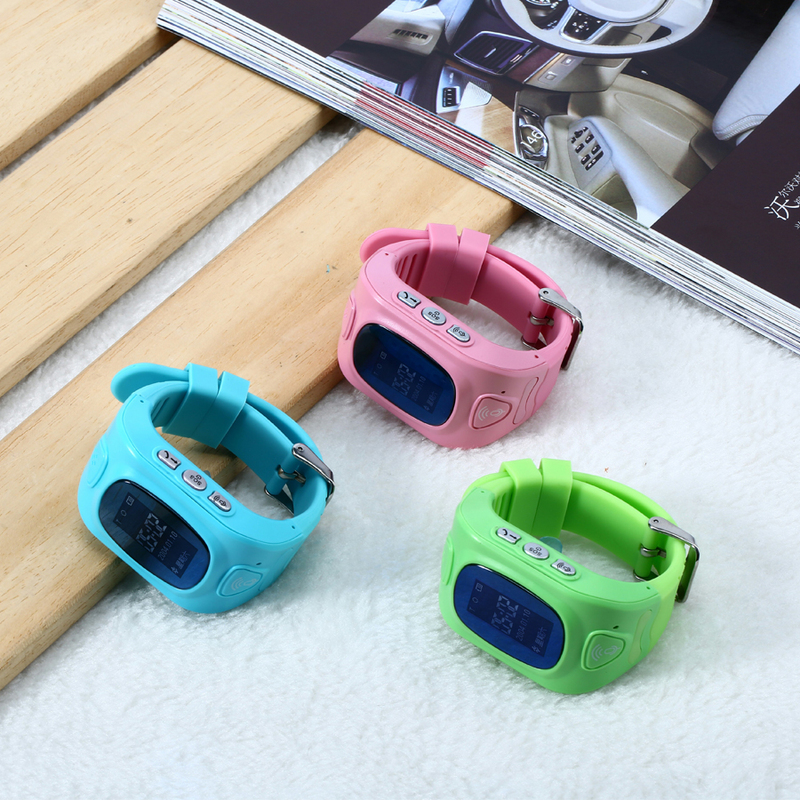 Does IVS Smart Kid Watch need a sim? Yes.The IVS Smart Kid watch needs a micro sim to work. Any 2G/3G/4G sim card will work. Supported Carrier: We have tested with Airtel, Idea and Vodafone 4G / 3G /2G SIM. Not Supported: Reliance Jio 4G is not supported as IVS Smart Kid watch does not support VOLTE. Works like a 2G mobile phone. Please make sure the SIM card you buy will work on a 2G device. We recommend using SeTracker App with IVS Watch. If you need help on App and Watch you can email us: support@ivssofttech.com. You can also use the contact form to send us a quick message. 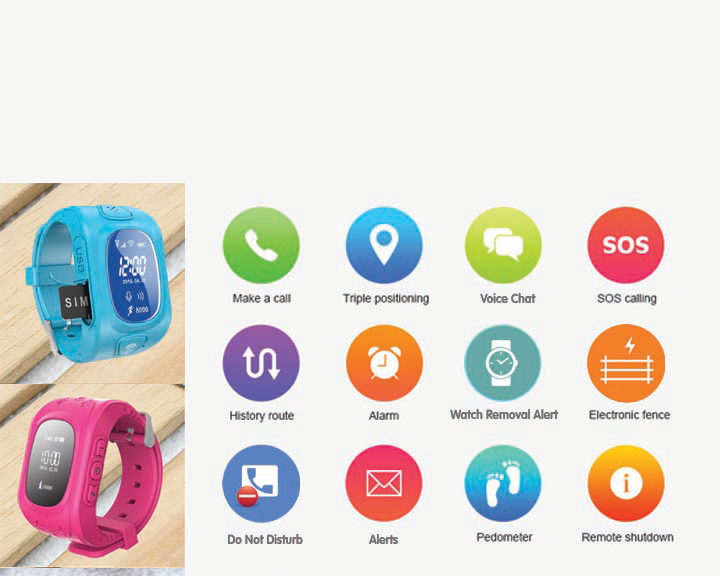 How to activate the IVS Smart Kid watch? You need to purchase a micro sim card with Voice and GPRS data plan. After that insert micro sim as per the manual instruction. A unique REG ID is given with the Watch to create an account on application SeTracker. It will vary as per usage. 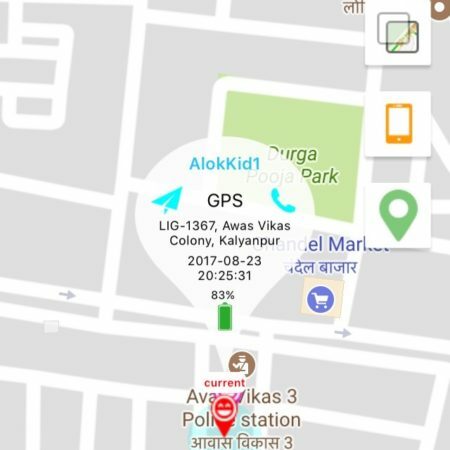 You use the GPS data update setting based on that battery life will increase and It can last upto 24 hours and recharges in 45 minutes. If you change the GPS work mode to power saver mode in App i.e. update data in 1-hour frequency then the battery will last upto 48. Only within 5 days of purchase with no damage of Watch and other items in box. You have to pay the shipping cost. 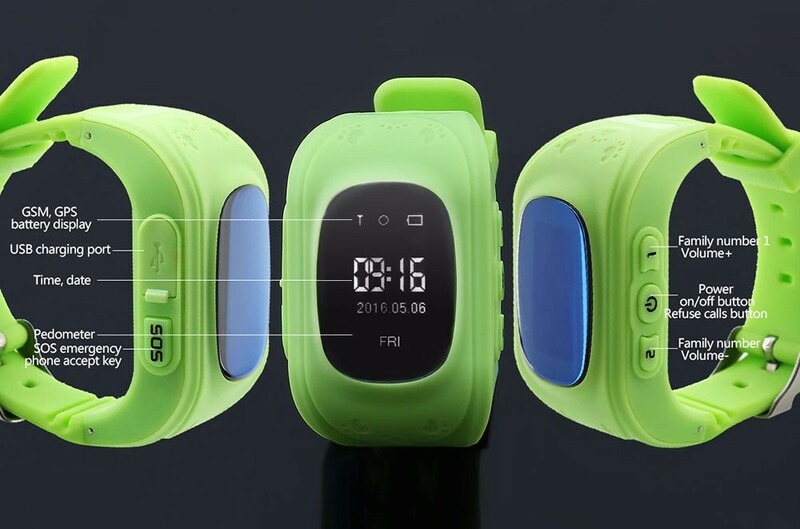 My IVS Smart Kid Watch not working showing Device offline ? Please check below things first. 1. check whether SIM has proper signal and GPRS Data is not expired. GPS Need GPRS Data pack active in SIM. Usually, 50-100 MB is enough for a month. 2. Please check the GPS Server you have selected as per your country and local SIM at the time of Account registration. If Not then please select the same. Also, check while login to the app. if you still have the problem please contact our team to verify the settings. Please send SMS from your other mobile to the Watch SIM number with the text message "pw,123456,ts#" without quotes. Share the response message you get. 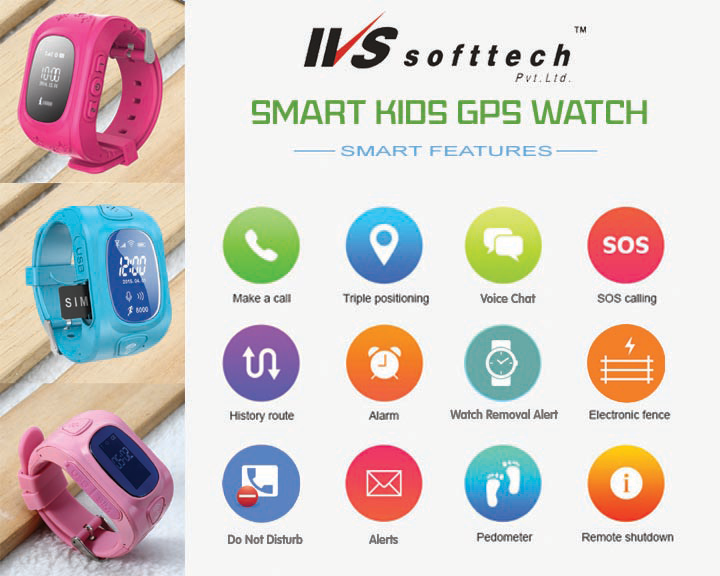 Zoek Kids is IVS Softtech™ Pvt Ltd Brand for Smart Kids GPS Watch that is now a days need for every parents. 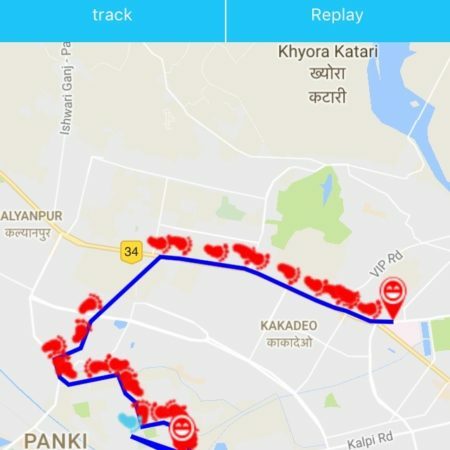 We recommend to use SeTracker App with IVS Watch. If you need help on App and Watch you can email us: support@ivssofttech.com. You can also use the contact form to send us a quick message. Zoek Kid support team is also available in the social networks. Please use below details for any communication.